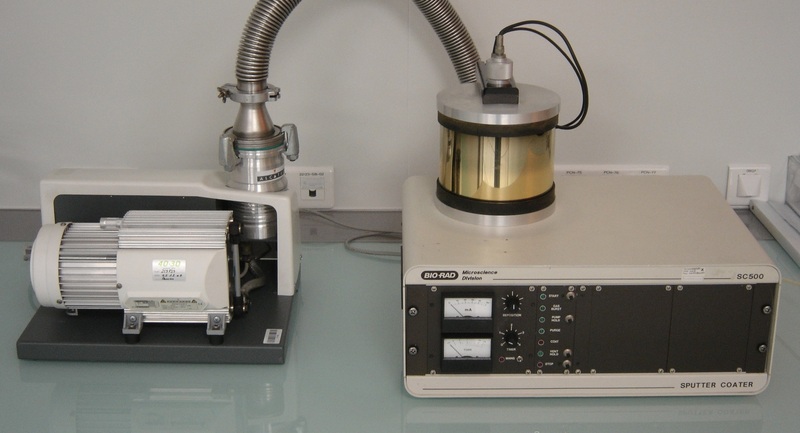 These two thermal evaporators allow to deposit metallic thin films (Au, Al, Cr, Ti, Ag, …) on the surface of samples. 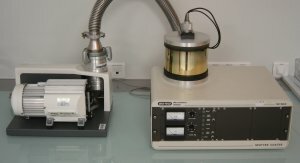 A quartz balance can accurately calibrate the thickness of the deposited layers, varying from a few nanometers to a few hundred nanometers. One of these devices can contain up to 4 targets whereas the second contains 3. 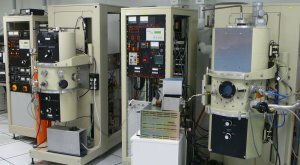 Possibility of heating the substrate and of cleaning it using a plasma. 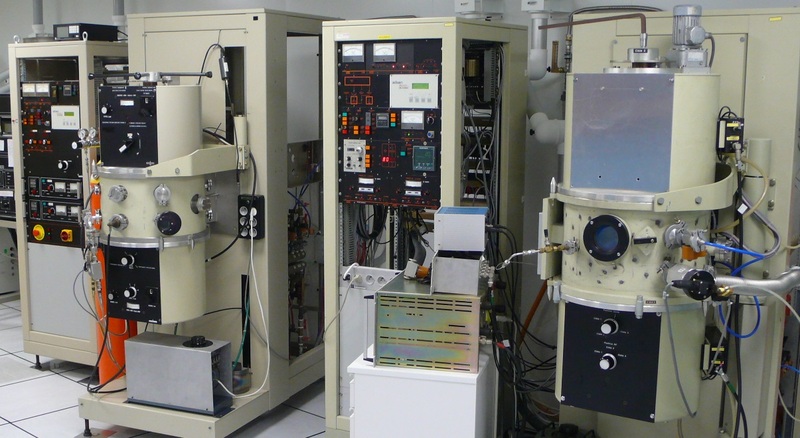 Depositions realized with plasmas of Argon and Oxygen. Big choice of available materials (Zn, Ti, W, Fe, Cu, Permalloy, SiO2, Mo). (Multi-) Layers of several microns thick can be realized. 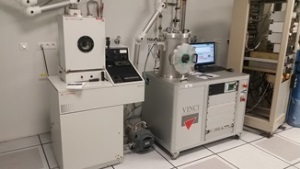 Small sputtering working with a Argon plasma and allowing a quick metallization (Au) of samples (useful for example to observe an insulating sample with SEM).